After you add us, tell your friends by e-mailing this page to them. Let them pickup a free resume. Download a template--just click save--save in Desktop. You can edit it later and you can find it later very quickly on your desktop. I think all these examples of a resume, make the information stand out, so the hiring manager doesn't have to search for it themselves. Your qualifications just pop right out. 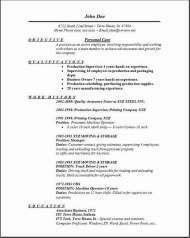 After all, you are wanting your end result to be a success, once you edit this resume with your own information, you will accomplish that success by having a great resume in hand when you leave here. I hope you get the job you are applying for. Send your friends to this website, visit some of the other great pages for more information gathering. 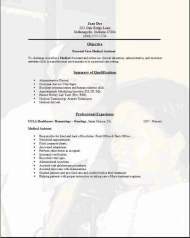 The resume template above with the picture was an addition I hope you like it. 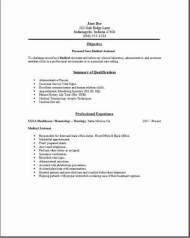 The choice of downloading 3 of the most useful personal care resume formats is also handy. So now all you need to do is edit these 3 with your own style and you are almost done. Downloading one of the free templates is easy, so you might as well pick up the cover letter while you are here. You need to get all the information you can from this website to put together the strongest possible resume so you can get that interview. You can never get enough help from anyone, so ask everyone you know to look at your finished resume and see what they think of it. You might get some good ideas from them before deciding how to arrange your resume. Dig through the information till you find the help you are looking for. There is quite a bit of information here so enjoy. I wish you have great success. Please tell your friends.